Home Sweet Classroom Library Pockets are handy little holders that have a multitude of uses inside the classroom and elsewhere! Put them on a bulletin board for an instant job chart! Add them to a classroom center to manage the work that students do there. 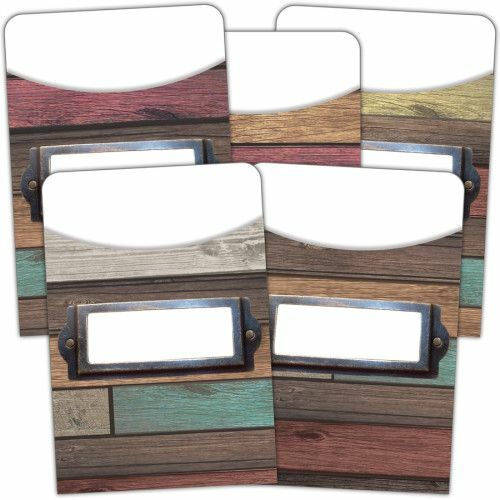 Use them to hold craft sticks, game pieces, and 3x5 index cards. Of course, you can put them inside the books in your classroom library, too! Measures 3½” x 5”. 5 designs; 35 pieces per pack.